Shannon has a beautiful folk voice and plays guitar to match it…. if you like a good folk sound even a little bit then you owe it to yourself to catch a show and check her out. Shannon is awesome. 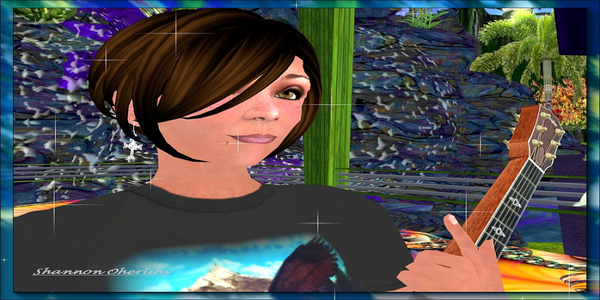 Shannon is one of the finest folk artists I have heard in Second Life. Her own songs are beautifully written and her cover versions well selected. Lovely guitar playing to accompany a very pure voice.